Beyond mere survival, the robotic mission—a partnership between the University of Washington's College of the Environment, the UW Applied Physics Laboratory, the Lamont-Doherty Earth Observatory of Columbia University, the Korean Polar Research Institute and Paul G. Allen Family Foundation—has ventured 18 times under the ice shelf, repeatedly reaching more than 40 kilometers (25 miles) into the cavity, among the farthest trips yet into this treacherous environment. 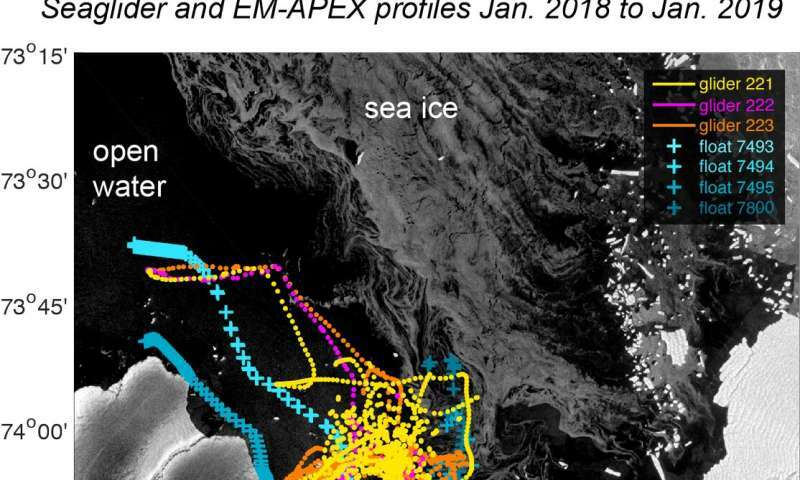 "This is the first time any of the modern, long-endurance platforms have made sustained measurements under an ice shelf," said Craig Lee, a UW professor of oceanography and member of the Applied Physics Laboratory. "We made extensive measurements inside the cavity. 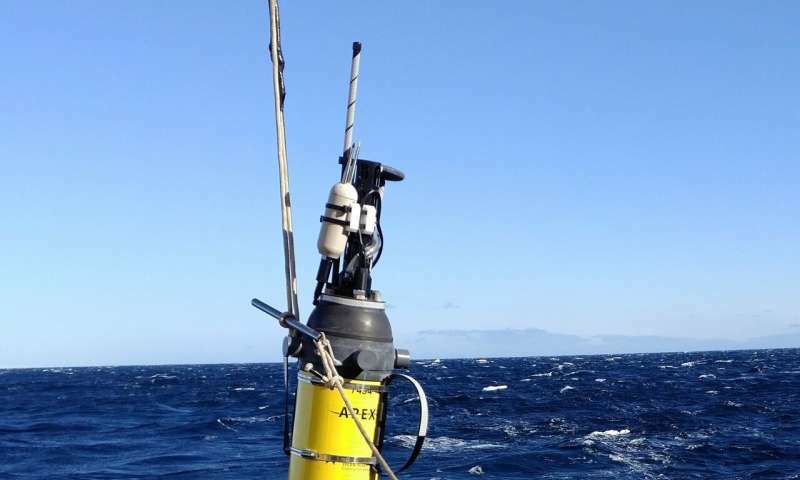 Gliders were able to navigate at will to survey the cavity interior, while floats rode ocean currents to access the cavity interior. "It's a major step forward," Lee added. "This is the first time we've been able to maintain a persistent presence over the span of an entire year." "Some ice sheets terminate in large ice shelves that float out over the ocean, and those act as a buttress," Lee said. "If the ice shelves collapse or weaken, due to oceanic melting, for example, the ice sheets behind them may accelerate toward the sea, increasing the rate of sea level rise." "Most of the uncertainty in global sea level rise predictions for decades to centuries is from ice sheets, which could contribute from 1 foot to as much as 6 feet by 2100," said Pierre Dutrieux, a research professor of oceanography at the Lamont-Doherty Earth Observatory. "A key driver is interaction with the ocean heat and these new tools open tantalizing perspectives to improve on current understanding." By contrast, the U.S.-based team's technology features smaller, lighter devices that can operate on their own for more than a year without any ship support. 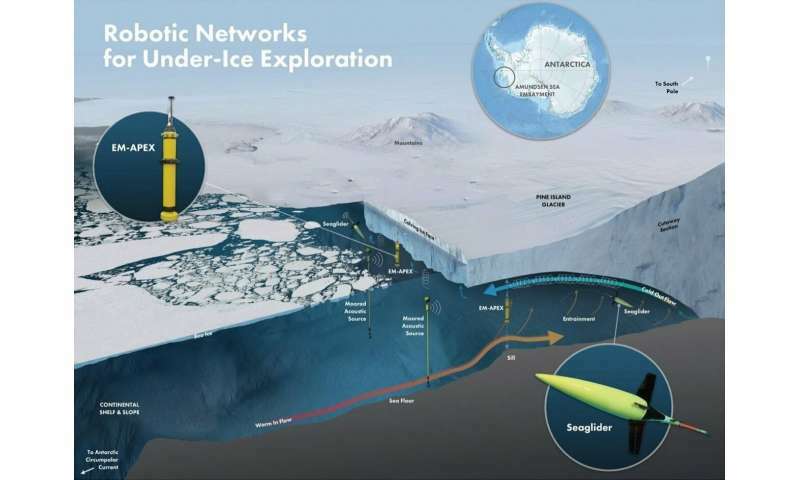 The group's experimental technique first moored three acoustic beacons to the seafloor to allow navigation under the ice shelf. 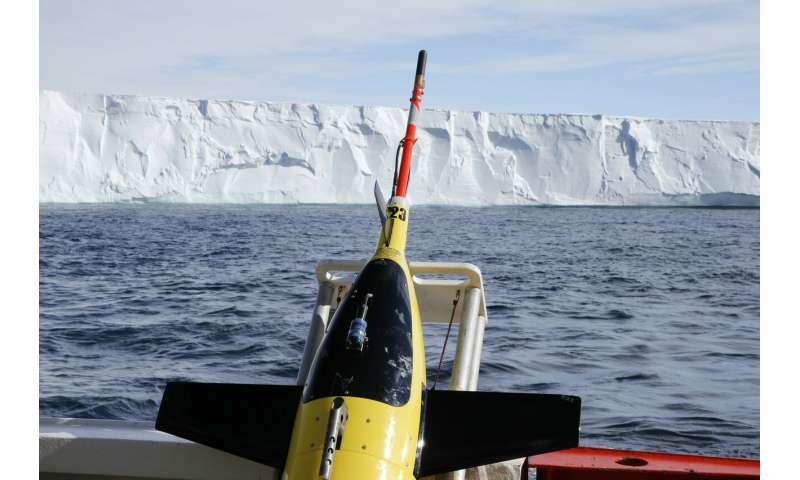 It then sent three Seagliders, swimming robots developed and built at the UW, to use preprogrammed navigation systems to travel under the ice shelf to collect data.